Maybe life at McDonald's would be less depressing if it had invented chicken fries. New menu items launched by McDonald's (MCD) have so far failed to stop its sales from shrinking. 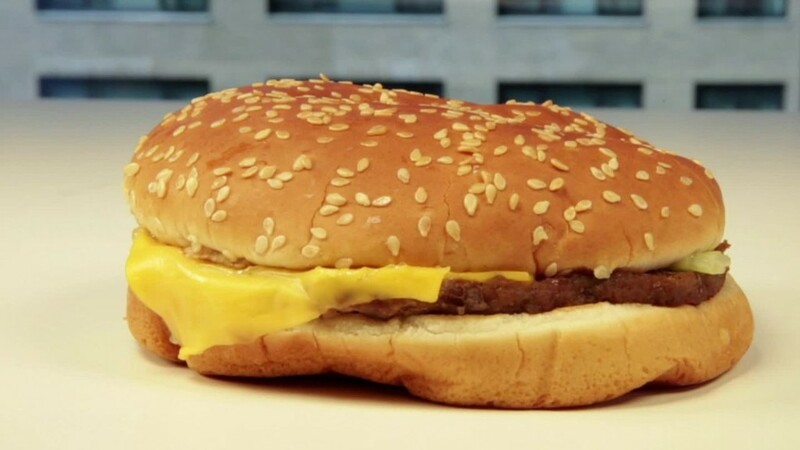 But they are really doing the trick at Burger King, which released new numbers on Monday that show the fast food chain is growing at an impressive pace. The Burger King growth story has been fueled largely by new menu items like the extra-long pulled pork sandwich as well as chicken fries -- breaded chicken strips that are shaped like fries and can be dunked in dipping sauce like BBQ and buffalo. Chicken fries have been an on-again-off-again item at Burger King. First launched in 2005, chicken fries were removed in 2012, leading some fans to create a Change.org petition and beg for their return. Burger King answered that call by adding chicken fries on a limited basis last summer, and then made them permanent in March. Burger King is winning: Whatever Burger King is doing, it's working. Same-store sales soared nearly 7% during the second quarter. McDonald's would kill for that kind of growth. Despite claiming "early signs of momentum," McDonald's U.S. sales fell 2% last quarter, contributing to a global dip of 0.7%. While McDonald's still generates way more sales than Burger King, investors are betting on the smaller brand to keep making up ground. Shares of Restaurant Brands International (QSR), which owns both Burger King and Tim Hortons, jumped 3% on Monday morning after the company posted better-than-expected results. 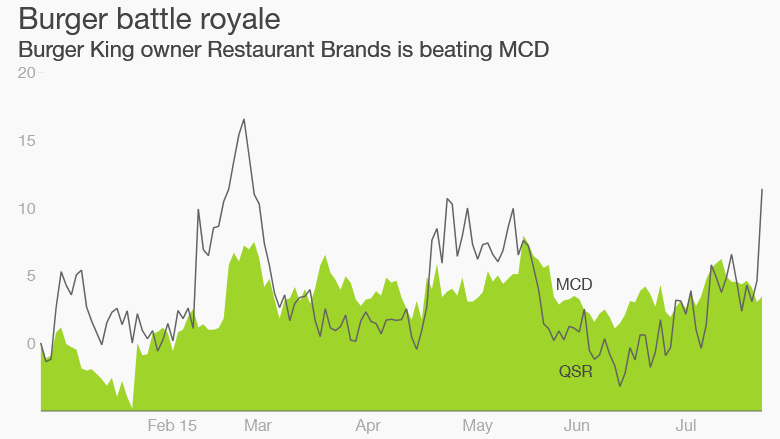 Restaurant Brands is up 6% so far this year, compared with a 3% gain for McDonald's. It's not like McDonald's isn't trying new things to lure in customers. The largest fast-food chain in the world has added sirloin burgers, artisan grilled chicken sandwiches and new lemonades to its menu. McDonald's is also testing all-day breakfast service, though it's not clear when it will launch. Still, McDonald's franchisees sound depressed about the company's future. "There is nothing on the menu that excites our customers," one franchisee wrote in a recent survey by Janney Capital. Millennial CEO, silver-haired backers: Burger King's corporate cousin is killing it lately, too. Tim Hortons generated a 5.5% jump in sales last quarter thanks to strong sales of its dark roast coffee and the new creamy chocolate chill beverage. It might help that both Burger King and Tim Hortons are being overseen by Millennials. Restaurant Brands CEO Daniel Schwartz is just 34 years old, while CFO Joshua Kobza is only 28. Restaurant Brands is backed by some wise investors with far more experience though. Warren Buffett owns a 4.2% stake in the company. The billionaire's Berkshire Hathaway holding company helped finance last year's $12.5 billion marriage of Burger King and Tim Hortons that created Restaurant Brands. Brazilian businessman Alexandre Behring da Costa serves as Restaurant Brands' chairman. Da Costa is co-founder of private-equity firm 3G Capital, which owns a large stake in Restaurant Brands.